Like many companies in the health care technology sector, ICmed wants to empower its users to improve their health. But the team behind the Baltimore tech startup is focusing its efforts on something it feels other systems have largely forgotten: family. ICmed's platform, which the company describes as "a mobile patient and family engagement solution," allows users to track and share information about their own health and medical histories as well as those of family members. Access to information from family members can not only help patients and their doctors identify health risks, but also gives loved ones a more active role in patient care. "The essence of what we do and the key to improving health outcomes is leveraging the power of friends and family to influence what you do," said Jeff Mason, senior advisor to the company. The ubiquity of smartphones has made this possible, he said. An example of ICmed in action might look like this: an older patient neglects to take his medicine in the morning. When he doesn't tell the app that he took the medicine, the patient's son gets a message so he can call his father to check in on him. The patient also gets a message reminding him to take the medicine and explaining the dangers of not doing so. They system can also elicit feedback from patients in real time, such as by asking survey questions, said Anil Kshepakaran, ICmed's founder and CEO. If a patient isn't taking his medicine because it makes him sick, the platform can ask him about that and send the answer to his doctor immediately, rather than have the doctor find out at the patient's next appointment, which could be weeks or months later, Kshepakaran said. But the need to get doctors information quickly is balanced by the need to keep them from being inundated with data, which is why not every alert is sent to health-care providers. 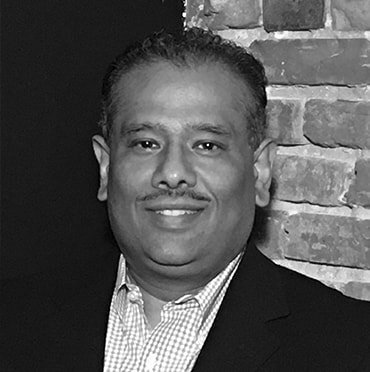 Anil Kshepakaran, founder and CEO. "We've done something unique. We activate the family care team first, then notify the provider care team," Kshepakaran said. "The system creates a tremendous amount of efficiency, which ultimately reduces costs. Providers can focus on high-risk patients and on situations where they need to intervene in real time." And the users can control how much information they share, and with whom. For instance, you might want your spouse to see all of your medical information, but your second cousin to see less. Initially launched in 2011, ICmed retooled its platform 2014 to focus on connectivity and sharing information among family members. In the past few months, the company has been focusing on rolling out an enterprise version of the platform aimed at organizations, such as health systems or self-insured businesses, which want to improve the quality of care for their patients and employees and keep costs down. Traditionally, employers can learn about the health of their employee population through claims data, but if employees use ICmed that data is available in real time. ICmed has also been awarded a $200,000 grant to undertake a two-year study through the University of Maryland's Maryland Industrial Partnerships Program, which connects Maryland businesses with university researchers. ICmed plans to work with a principal investigator from the University of Maryland School of Medicine to test its enterprise application in an environment with a population of both patients and family members, such as a retirement community. For Kshepakaran, they key is promoting engagement and active participation. "In every industry today, the only way to make a change is to put the power in the hands of the consumer," he said. "Why can't health care be like that?"